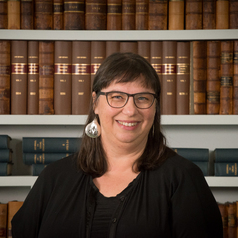 Melissa teaches, researches and writes on Australian public law, Indigenous legal issues and legal education. She is a Deputy Director of the Castan Centre for Human Rights Law in the Law Faculty, Monash University. Melissa is a co-author with Professor Sarah Joseph of Federal Constitutional Law: A Contemporary View (Thomson Reuters, 2019). She is also a co-author (again with Professor Sarah Joseph) of The International Covenant on Civil and Political Rights: Cases, Materials and Commentary (Oxford University Press, 2013). Melissa was a Chief Investigator on an ARC funded project that investigated the legal and other barriers to Indigenous Australians' registration and certification of birth. She is National Editorial Convener for the Alternative Law Journal and a Board Member of the Victoria Law Foundation.